If you want a grill that will extend your outdoor entertainment space, offer your more customizability, increase the value of your home, and last for a long time, then you want a built in BBQ grill. 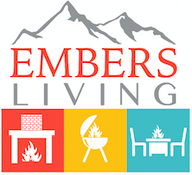 Here at Embers Living, we have a variety of built in grills to choose from in a variety of brands such as Summerset, Beefeater, Firemagic, and many more. Our built in grills offer a cooking experience that is just as good if not better than stand-alone grills. Get yours today!